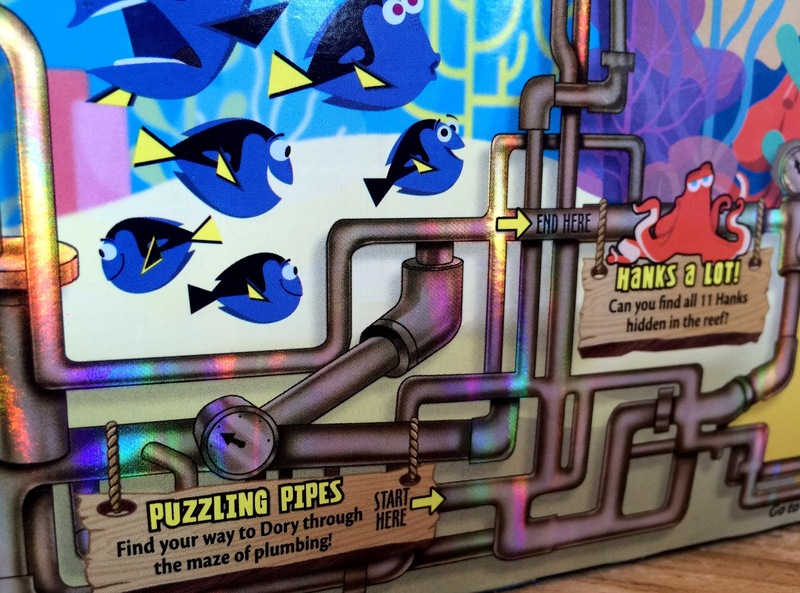 Pixar's next feature, the highly anticipated Finding Dory, doesn't swim into theaters until June 17th- but merchandise and tie-ins are already showing up a full five months before the film's release! 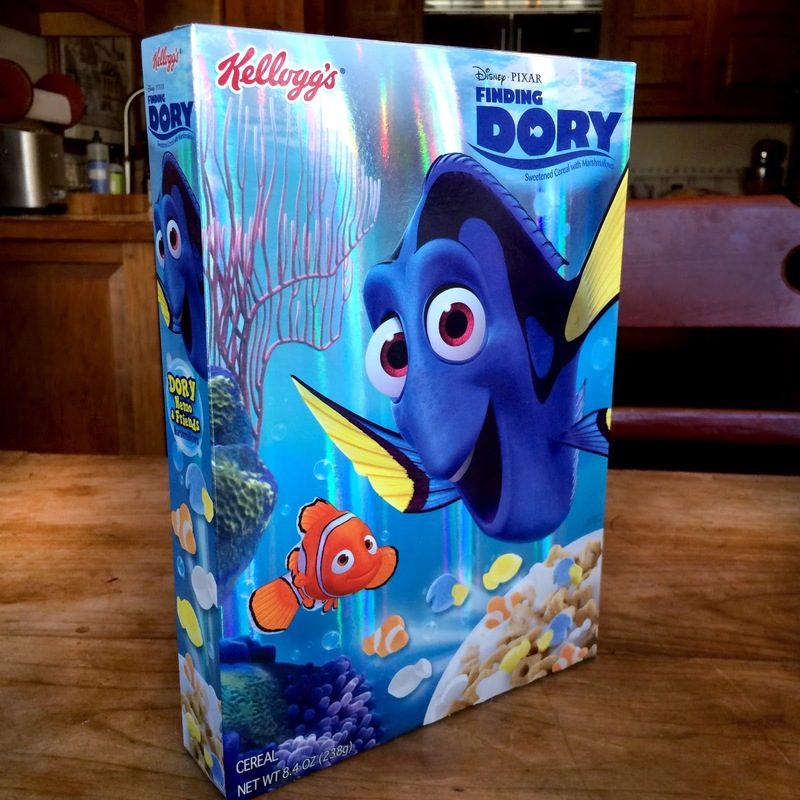 Food products are often one of the first things to hit shelves these days, especially when it comes to Disney·Pixar; last year it was Kellogg's Inside Out fruit snacks and this year we get Kellogg's Finding Dory cereal! Yum. 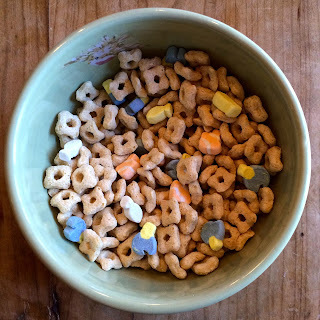 If you like Lucky Charms, you'll enjoy this (since it's essentially the exact same cereal, but with different shaped marshmallows- Dory, Nemo, a white fish and a yellow fish). I don't usually go for the "sugar cereal", but when it comes to Pixar I make exceptions! 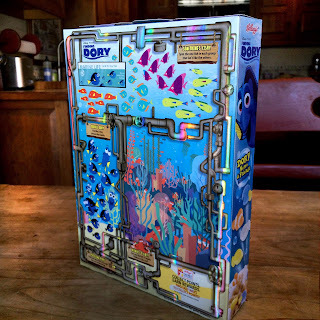 The shiny, iridescent box is actually really cool and features, as usual with these types of cereal, some games included on the back! Four to be exact. 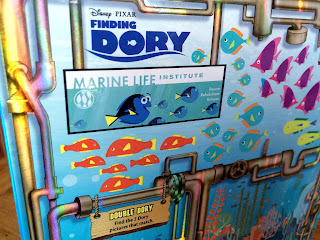 The back also gives us a few minor details about the film, such as the Marine Life Institute's (a key location in the movie) slogan: Rescue, Rehabilitate, Release. 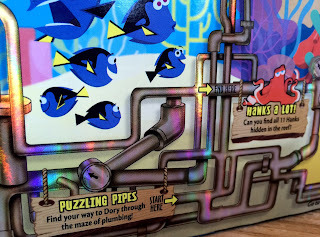 And what are all the pipes about? 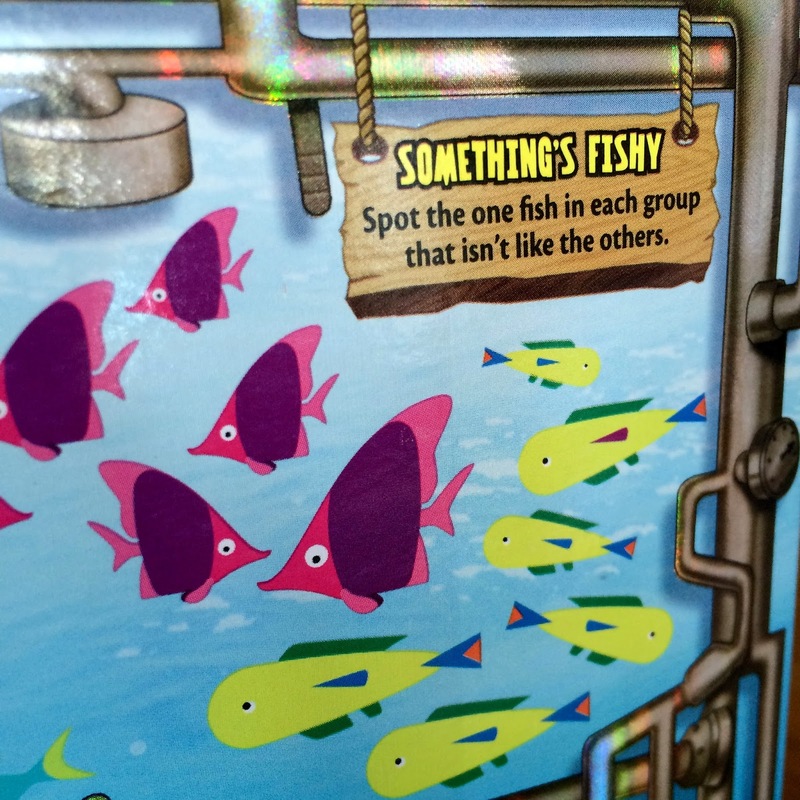 Could this be a key plot point? Like an escape from the institute since "all drains lead to the ocean"? Time will tell! Hank the "sectapus", a new seven armed octopus character (voiced by Ed O'Neil), is also featured. If you're looking to grab a box of this, you can find it at most grocery stores. I picked it up at my local Walmart last night. 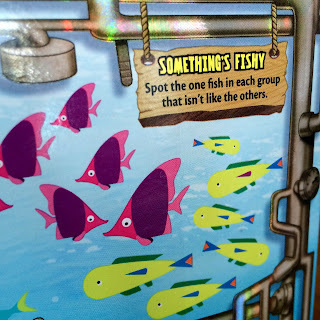 Thanks to my good friends over at Pixar Post who informed me this was out there! 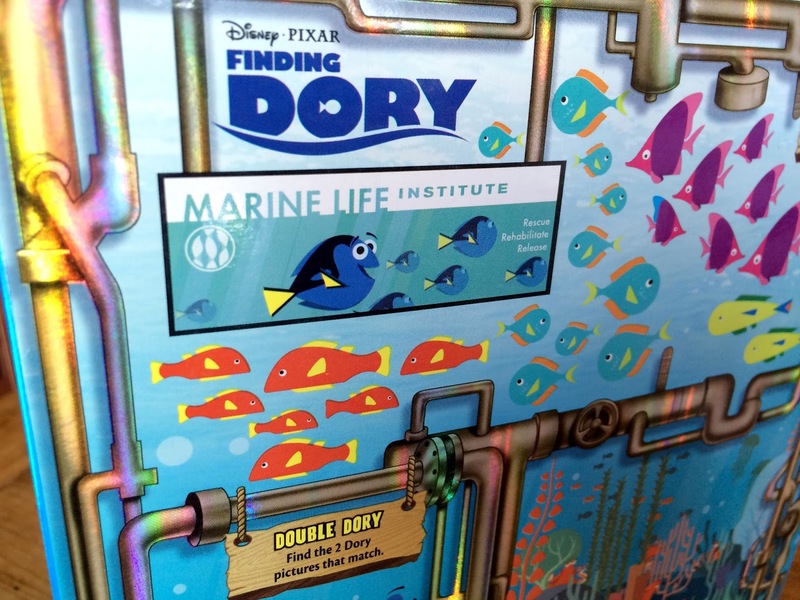 Additionally, some other Finding Dory products are already hitting the Disney Store's website. 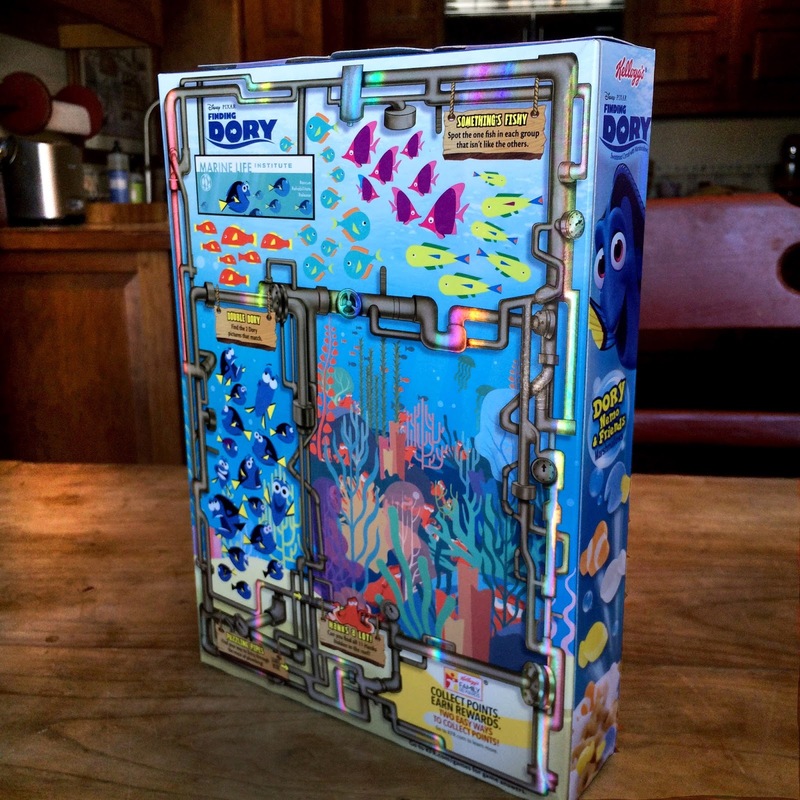 Be sure to check out their Dory kids beach towels, flip flops and swim suites available HERE! The full line will arrive in May and I cannot wait to see what's in store ...until then I'll just keep eating this cereal in anticipation.